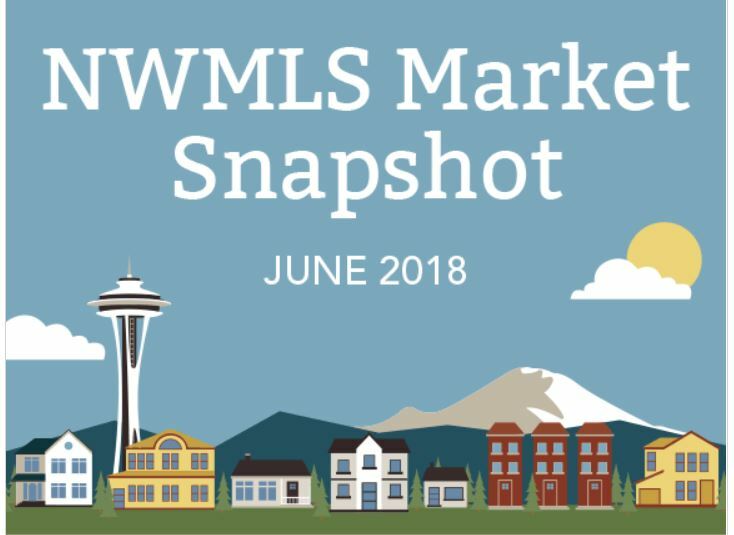 In March, Metro Seattle saw new listings increase 71% from the previous month and at the same time pending sales increased by 80%. Sales outpacing new inventory confirms that buyer demand remains strong. While average sales price was 13% higher than February, the 90-day price trend is down 3% during the same period a year ago. These are indicators that Seattle’s home prices have and continue to stabilize. If a move is in your future, I welcome the opportunity to start discussing your needs and how to succeed in today’s market. Indicators continue to support a balancing market. 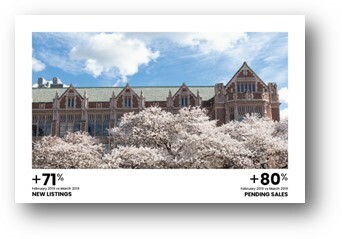 January real estate results continue to support a balancing of the Metro Seattle real estate market. For the last 90 days ending January 31, 2019, sales prices are up a modest 1%. Further, new listings in January 2019 were up a healthy 26% compared to last year. We will be watching these indicators in anticipation of a strong selling season this Spring. Statistical data continues to support a balancing market with sale prices essentially flat to last year, and new listings increasing at a healthy pace. We will be watching all indicators that impact the real estate market in anticipation of a strong selling season this Spring. If a move is in your future, I welcome an opportunity to answer any questions you have. You can give away up to $5,120,000 for the rest of this year without paying gift tax. If this higher federal gift tax exemption is not used, and the exemption falls back to $1 million in 2013, then this important opportunity will have been lost. Making a gift this year is particularly attractive to Washingtonians, because while there is no gift tax in Washington, there is an estate tax on assets over $2 million. Accordingly, anything that is given away prior to death avoids the Washington estate tax. The current combined federal and Washington estate tax rate is 47.35 percent. Next year, the federal estate tax rate is scheduled to increase to 55 percent. For Washingtonians whose estate may be subject to federal or Washington state estate tax, the tough question is, what do I give away? As Americans are living longer, it may be difficult to give away cash and other investment assets that could be needed down the road. But what if you could give something away, yet retain the right to use the asset for as long as you specify? While this is not generally permitted by tax law, an exception is a gift of a home to a Qualified Personal Residence Trust (QPRT). The tax regulations are somewhat complex, but the basic idea of a QPRT is straightforward. An individual or couple may give away a primary or secondary residence to a QPRT, and retain the right to live in the residence for the term of the trust, which is a specified number of years. When the term ends, the beneficiaries (such as children or a trust for children) receive the home without any further gift tax, and the value of the home is excluded from the donor’s taxable estate. Even better, for federal gift tax purposes, the value of the gift is reduced by the value of the right to continue to live in the residence. The mechanics of a QPRT may be illustrated by the following example: If an individual who is age 70 gives a $10 million home to a QPRT and retains a right to live in the residence until age 85, the gift tax value is only about $3.8 million, well within the federal gift tax exemption. If the donor outlives the term of the trust, then the entire $10 million home, plus 15 years’ worth of appreciation, will pass to the beneficiaries without estate tax. Assuming the tax laws change as planned, the estate tax savings is $7.7 million, not including estate tax saved on the appreciation. Even if the exemption remains at today’s higher level, at least $2.9 million of estate tax would be saved. There is a catch. The tax benefit is lost if the donor dies during the term of the trust. In that case, the home is included in the donor’s taxable estate, just as if the QPRT had never been established. On the other hand, the donor is no worse off. This means that the term of the trust should be as long as possible, but shorter than the donor’s life expectancy. A married couple can actually choose two different terms. For example, one spouse could choose a 10-year term and the other could choose a 15-year term, which would make sense if differences in age or family history suggest each had a different life expectancy. If one spouse survives the respective term, but the other does not, then the couple receives about half of the tax benefit. It is important to remember that at the end of the term, the beneficiaries will own the residence, which may be another reason the term should be as long as possible. If there is no agreement at the time the QPRT is established, the donors can rent the residence back from the beneficiaries at the end of the term. This not only gives the beneficiaries a source of funds to pay property taxes and insurance, but each rental payment serves as yet another avenue to transfer wealth to the next generation. While a QPRT may provide a significant estate tax benefit, as with all gifts made during life, the beneficiaries receive the donor’s tax basis in the residence. If the QPRT had not been established, and the donors died owning the residence, then the residence would receive a stepped-up tax basis at death, allowing the beneficiaries to then sell the property without capital gains tax. However, for those who may be subject to federal estate tax, the tax savings of using a QPRT are likely to outweigh the lost income tax benefit, even if the capital gains rate increases. If you are considering a QPRT, an attorney can help you navigate the other issues, which include the options that are available if the donors sell their home during the term (including the purchase of a replacement residence in the QPRT), and how best to establish a QPRT if the home has a mortgage. A QPRT is an attractive option for anyone who owns their own home and would like to make a gift in 2012 while the gift tax exemption remains at a historically high level. While there are some tradeoffs and important considerations, a QPRT is a relatively low-risk way to achieve the tax benefits of giving away your home, while retaining the right to live in it for many years. WALTER IMPERT is a partner in Dorsey & Whitney’s Tax, Trusts and Estates Practice Group in Seattle, where he can be reached at 206.903.2439. JAY RIFFKIN is an associate in Dorsey & Whitney’s Tax, Trusts and Estates Practice Group in Seattle, and can be reached at 206.903.8706. 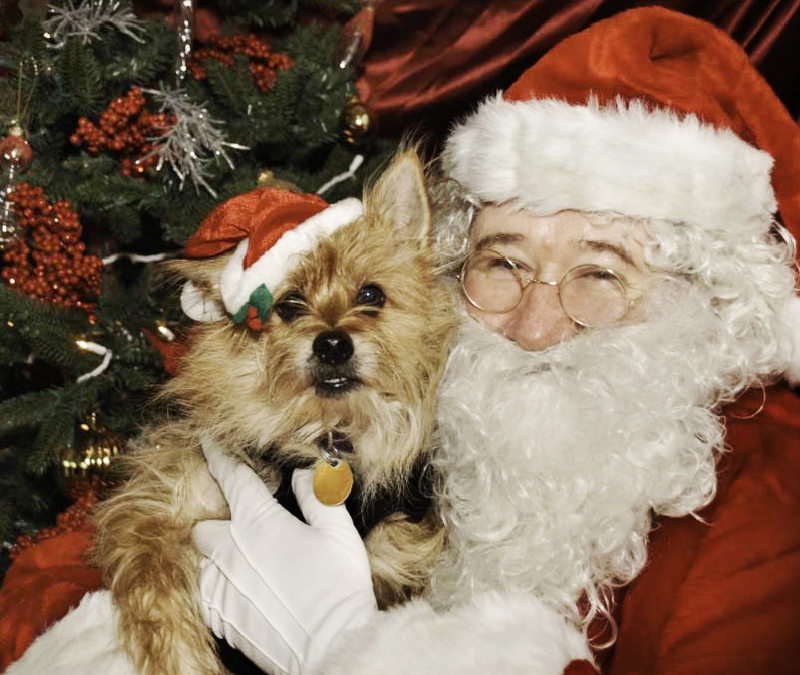 A professional photographer will be taking pictures of your pets with Santa. We will also have holiday treats for you and the little ones. Please come by and have some fun! If you have any questions, please call our office at 206-935-7200. With a median average income of $56,835, Washington state ranks No. 13 nationally, trailing U.S. leader Maryland at $70,004. Washington state had 249,382 households, or 9.47 percent of all households that made $150,000 or more last year, which ranked the state 15th nationally. The District of Columbia, which is considered a state for statistical purposes, led the country with nearly one-fifth of the households in the district (18.0 percent) with 2011 incomes of $150,000 or more. The six states with the strongest concentrations of top-end incomes are arrayed along the Atlantic from Massachusetts to Virginia, according to research by On Numbers, the research division of American City Business Journals. A total of 10.02 million U.S. households crossed the $150,000 threshold in 2011, accounting for 8.7 percent of the nation’s 114.99 million households. The city of Seattle is set to name a general contractor Friday to oversee the replacement of Seattle’s crumbling downtown seawall, a project that can now move forward without the cloud of uncertainty that hung over the plans before Tuesday’s election. That’s because voters in Seattleoverwhelmingly approved a $290 million bond measure to fund the project. Leading up to Tuesday’s general election tally, there was widespread agreement among business and political leaders in Seattle that the seawall is decrepit and has to be fixed. But city officials and proponents of replacement worried that the seawall measure might fail, partly due to voter fatigue over higher-profile issues such as the presidential race and several statewide issues including gay marriage and marijuana legalization. But it turns out there was nothing to worry about. An overwhelming majority – 77 percent – voted to approve the measure. The seawall levy vote was closely watched by six companies involved in four bids to play a major role in construction of the new seawall along Seattle’s central waterfront — a several-block section between South Washington and Virginia streets that includes the most deteriorated sections of the seawall. Some parts of the seawall date back to the early 1900s. — Colorado-based Guy F. Atkinson Construction LLC. — Portland-based Hoffman Construction Co.
— A joint venture of Minneapolis-based Mortenson Construction and Seattle-based Manson Construction Co.
– A joint venture of Canada-based PCL and Alameda, Calif.-based Stacy and Witbeck Inc.
A draft report on the project’s potential environmental impact is due to be released to the public Nov. 13. Construction is set to start next fall. Seattle was the only city among the top 20 markets tracked in the S&P/Case-Shiller Home Price Indices where home prices dipped in August. The home-price index for Seattle nudged down 0.1 percent in August, while the average home price in the other cities increased 0.9 percent from the previous month, S&P/Case Shiller reported today. Even though Seattle home prices slipped in August, prices are still up 3.4 percent compared to last year. The index is a rolling three-month average, with this report covering the months of June, July and August. The top performing city tracked by S&P/Case-Shiller was Phoenix, which posted its fourth month of double-digit gains in home prices, up 18.8 percent in August compared to the prior year. Meanwhile Las Vegas posted its first increase in home prices since January 2007, up 0.9 percent in August compared to the August 2011. Other housing data are also positive. Single family housing starts are up 43 percent nationwide compared to last year, while homes sales continue to increase and the inventory of homes continues to decline, the report said. JEANNE LANG JONES covers retail and real estate for the Puget Sound Business Journal. Phone: 206-876-5426 | Email: jlj@bizjournals.com Click here to sign up for the PSBJ Daily Update. via Seattle home prices dipped in August, Case-Shiller reports – Puget Sound Business Journal. Seattle online real estate company Redfin said it’s refined its home search system to allow parents to look for homes within a specific school zone. Redfin said it would issue email updates to its customers when a house become available for sale within a certain school zone. via Redfin tweaks site to allow school zone searches – Puget Sound Business Journal. HomeStreet Inc., parent company of HomeStreet Bank, announced net third-quarter income of $21.3 million, or $2.90 per diluted share, crushing analysts’ expectations of $1.92 per share and well ahead of last year’s earnings of $2.43 per share. “Our record earnings in the third quarter were driven primarily by strong mortgage banking activity. We are also very pleased to have again made significant progress in improving our credit quality during the quarter and we believe our asset quality is consistent with that of healthy institutions today,” said Mark Mason, president and CEO, in a statement. Seattle-based HomeStreet (NASDAQ: HMST) said single-family closed loan production totaled $1.37 billion, increasing $890.2 million, or 186 percent, from the third quarter of 2011. The bank said its net gain on mortgage loan origination and sale activities was $64.4 million, an increase of $48.6 million, or 308 percent, from a year earlier. via HomeStreet Bank crushes Q3 expectations – Puget Sound Business Journal.